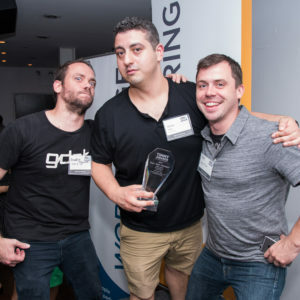 Danny Saad, our VP of Engineering for being crowned the Best Tech Manager in New York City at this year’s 3rd Annual Timmy Awards! The Timmy Awards are presented by Tech in Motion every year in tech hub cities across North America, including New York, Boston, San Francisco, and Toronto. Previous winners have included innovators such as Jet.com, LearnVest, Venmo, TripAdvisor, Gilt, Constant Contact, Casper, and Instacart. In New York City alone there are over 10,000 members, there were 250+ local nominations and 8000+ votes. 50% of the votes for this year’s Timmy Awards was done by a public vote of Danny’s peers in the tech industry. The other 50% was judged by prominent local tech leaders including Kara Chesal, Senior Director on the Computer Science Education team at the NYC Department of Education, Chike Ukaegbu, Founder of Startup52, NYC’s premier and award-winning diversity-focused accelerator Reza Chowdhury, Founder and CEO of AlleyWatch. As one of the very first employees of Dom & Tom, Danny has played a pivotal role in the success of not only the mobile and web development departments but the success of the company as a whole. With a passion for application development, researching new technologies and pushing the limitations of mobile software development Danny has launched several innovative products with his team. “Danny fosters a community of integrity, mutual respect, professional discipline, and transparency for all production departments at Dom & Tom with his passion for guidance and coaching,” said Dushan Perera, Associate Director of Mobile Development at Dom & Tom. So what makes Danny the best Tech Manager at Dom & Tom AND in New York City? We spoke to his colleagues and here’s what they had to say. Danny has an excellent mind for process and organization and is great at identifying his team members strengths and weaknesses. To support career growth, Danny works with each team member to set realistic milestones and goals with measurable metrics. With an action plan in place, team members can focus on what they do best and what they can improve on with coaching from Danny. This method promotes the acceleration of team members growth professionally and personally. Danny has a quarterly Book Club to explore excellence in technical leadership and digital product process management for continued learning and career growth. Danny is very hands-on with his team members and has an open door policy when it comes to work and personal matters. With a “we’re in this together” attitude, Danny promotes the idea that everyone can work together to solve hard problems as a team. Everyone regards him as a leader and a friend, and that contributes to a relaxed work environment where everyone can be themselves. The team members appreciate coming to work because they enjoy spending time with one another and truly appreciate the great culture that is Dom & Tom. 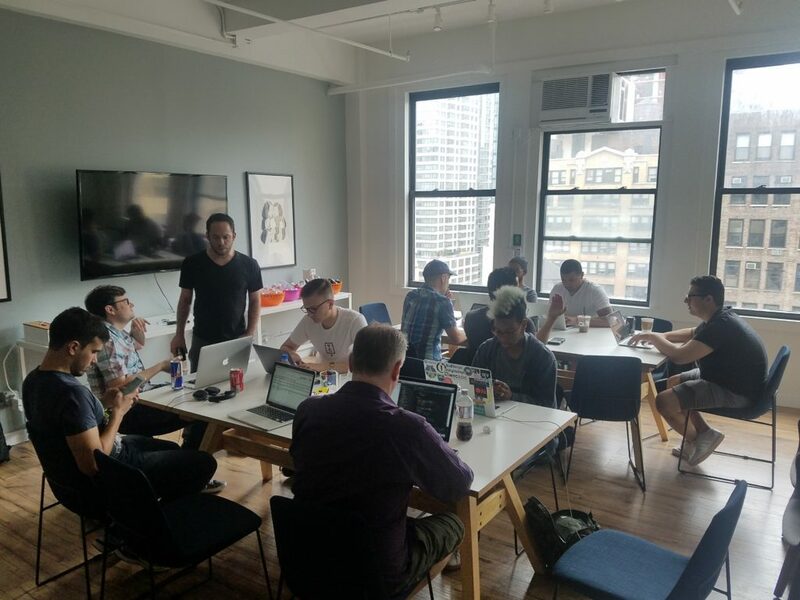 Danny motivates his team by challenging them to take the lead on projects and gives them the ability to try to solve problems with their own unique approach as opposed only following one standard approach every time. Team members are inspired to think outside the box and flex their creative muscles to come up with innovative ways to solve complex problems. Danny sets the tone and expectations for his team with a strong backbone for the department that includes process, communication, and standard practices. He effectively illustrates the goals of each project in a clear and measurable way. While Danny continues to be invested in the development of products as much as his team members, the backbone he has in place for the department allows his team members to truly own their ideas and the execution of each great product that Dom & Tom creates for our clients. Want to talk to Danny about his experience? Get in touch with us today!